The top block in the photo is the October 2017 Block of the Month, Click the picture for a larger image. 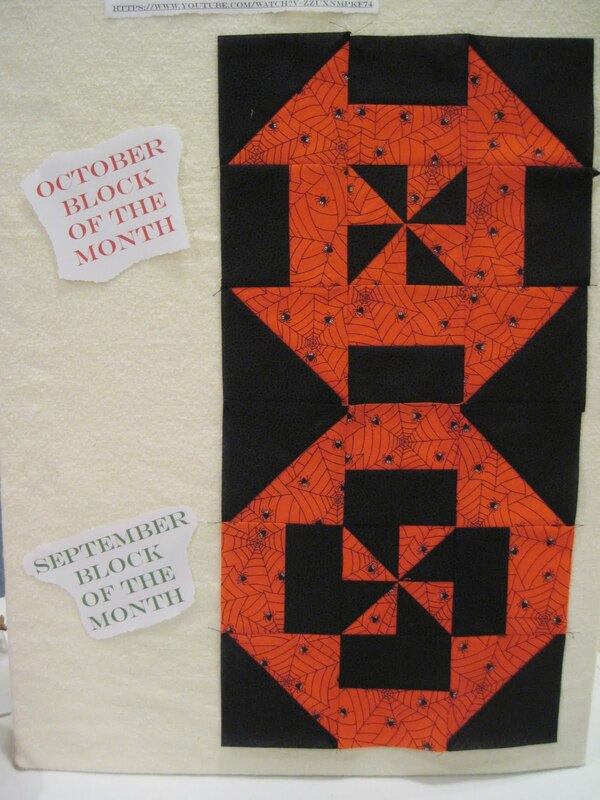 The block on the bottom is the September block made with Halloween fabrics. 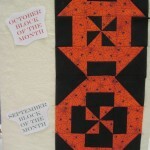 To join the block of the month, contact Karen Grage.